Richard Owen Roberts, president and founder of International Awakening Ministries, is the keynote speaker for the annual “Awaken” prayer gathering, scheduled for March 8-9 at Pleasant Garden Baptist Church near Greensboro. The event is free, and a love offering will be received. A special pre-conference dialogue and dinner with Roberts on Friday, March 8 from 3-6 p.m. is open to pastors, ministry leaders and prayer leaders. The dialogue session and dinner are free, but registration is required. Learn more and register at ncbaptist.org/awaken. Roberts is one of the leading authorities on the subject of revival and spiritual awakening throughout the world. He has had a passion and burden for revival and spiritual awakening since he was a teenager and believes that the Lord wants to send revival to the church and spiritual awakening to the culture once again in America. The Lord wants to send revival to the church and spiritual awakening to the culture once again in America. How long have you had a deep burden to see revival and spiritual awakening? Ever since I was a young man and called to preach. It’s actually been over 70 years now, and the burden has never waned but increased. After I preached my first sermon at a home for the aged when I was 13-years-old, God, through the work and manifestation of His Spirit, began focusing my heart toward the need for revival among God’s people. Has God used other people or writings to influence your ministry toward revival and spiritual awakening? Yes, indeed He has. He used an obscure writing on revival by Albert Barnes called “The Theory and Disirableness of Revivals”to really grab my heart about the great need for revival among God’s people and how God uses revival as a catalyst for spiritual awakening and evangelism among those who are lost. I am sure that God also used the prayers of my grandparents — my father’s parents — who were from Wales, which is called the “Land of Revivals” to impact my spiritual life and desire to see revival. Wales experienced some 50-60 significant revival movements from 1500-1910, including the 1904-05 Welsh Revival. I was actually named after a popular Welsh revivalist from the 1800s, Richard Owen. Is revival different from spiritual awakening? Yes. Revival is for the church and is what takes place when the church is renewed and restored in its relationship with the Lord as He draws near through His manifest, holy presence. Spiritual awakening refers to what takes place in the surrounding world or lost culture. Both are something that only God can accomplish as He manifests His presence with and through His people and among the lost multitudes. As God’s Word takes root in revival among His people a healthy awe and fear of God sweeps His people and subsequently the surrounding lost world as many are converted to Christ. People who had no interest in Christ days before suddenly become open to the preaching of God’s Word and salvation. It is a truly wonderful thing. Are you hopeful that God will send revival and spiritual awakening to sweep the American church and nation? Yes, I am. I am not saying that we are on the brink of revival, but God is definitely raising up individual believers who are waking up to the reality of God’s judgment on the church and nation as a whole and the utter hopeless state we are in apart from a sovereign work of God through revival and spiritual awakening. These individuals believe in what God can do. They see it and are passionately praying, longing for and hanging on to God and His Word that He will suddenly draw near to His people in revival, which ultimately will result in a great spiritual awakening among those who are lost. 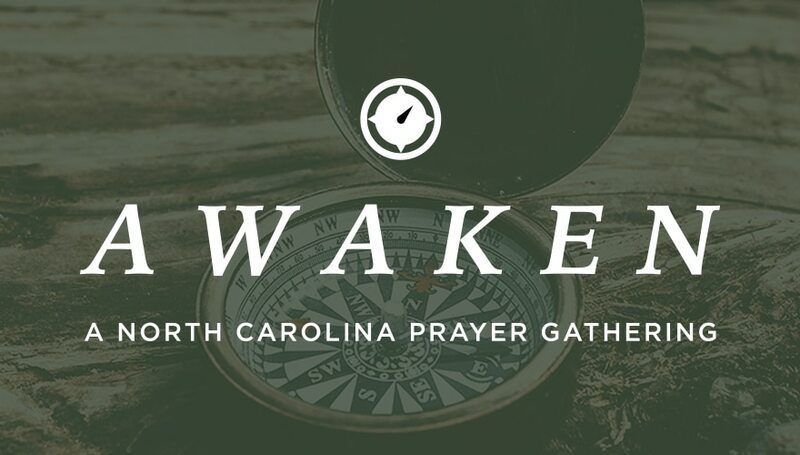 We are looking forward to you being with us in North Carolina for the “Awaken”prayer gathering March 8-9. What do you hope attendees will glean from our time together? That the greatest need for believers today is to return to Christ in holiness. Holiness is the result of God’s reviving work in their lives. Holiness also produces a life of righteous living and Christlikeness which results in an unwavering obedience to God and His Word and a holy fear and reverence of God. That’s when the lost world takes notice of who God is and their need for Christ. Join us Mar. 8-9 for this statewide prayer gathering. Would be there but it’s the same weekend as the East Coast Mens Conference in Rocky Mount that I’ve been attending for many years. I’ll be praying for the event.